I’ve always disliked my handwriting. My Mum has beautiful handwriting. It’s perfection. But, then again, she was taught proper technique in school and by her own mother who was born in 1917 (yeah! If my grandma was still alive she would have been 100 years old this Easter! I miss having our birthdays one day apart). All my mum’s sisters have beautiful handwriting. I was looking through my mum’s baby book over the weekend when I was at home and found one of her baby announcements: my grandma has the exact same handwriting as my mum. I’ve improved my printing over the past few years. Mostly since I started teacher’s college. When I take my time writing, I now have a very convincing “kindergarten print” thing going on. Also known as the “elementary teacher font”. Ya’ll know what I’m talking about. But my handwriting still remains messy. I decided that I wanted to fix that. And to fix it, I just need to put in some practice. I found these books on Amazon, but as my brother pointed out, I already know how to form the letters, I just need to slow down, and form them correctly. I don’t need to have a step by step instruction manual to show me how to form the letters. You and I both know that I’m too stubborn to actually re-learn all the letters. I put it off for a little bit (like the last 20 years of my life little bit…) and then I received a letter in the mail on Tuesday. A hand-written letter from my late uncle’s wife. She was replying to the invitation to Mum’s surprise party, and in perfect cursive wrote she was sorry she couldn’t come since she was having cataract surgery! This woman is almost EIGHTY YEARS OLD, has cataracts and can STILL write in near perfection!? Shame was brought down upon my head in ways that Musha from Mulan can only rival. Too bad I don’t have a cow he can shame…will stuffed hippos work? So I took myself up to the dollar store to get some workbooks (and new pens, who can practice writing without cute new pens in all different colours? No one, I say!). 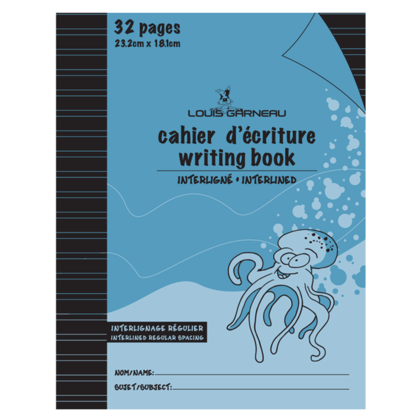 I wanted the notebooks that you can get in schools, with the solid and dotted lines (usually in red and blue). But I was only able to find books with just lines. Which is fine, I’ll make due. Three came in a package, and they are the ones you get either in a university exam or to practice writing in school. Mine don’t have the cute little octopus, but same deal. They have a nice 32 pages, so one page for each letter and then I have 5 sentences at the back using all 26 letters of the alphabet. I started off great, A’s are beautiful. B’s not too bad….C’s aren’t even a challenge. It’s always the capital letters that give me a hard time (Like S and H and G! Do we even need those letters?). And lower case R’s. How the frick are you suppose to get that half a downward line thing before finishing off the loop without it looking like a 2-year old grabbed your pen while you were driving down a back country gravel road? 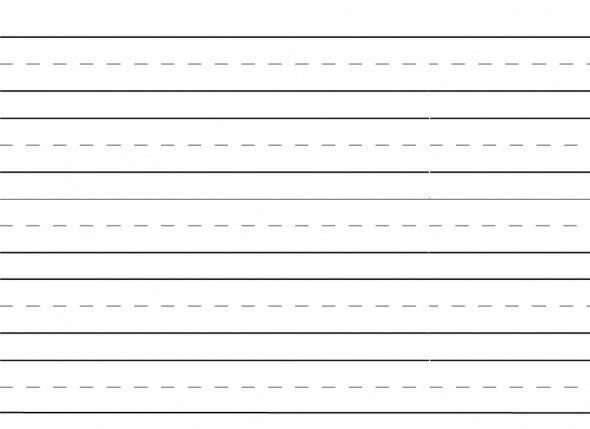 My sentences do look pretty nice….maybe I should take one of the pages with just a letter (possibly C….who needs to practice C?! Not me!) and switch it out for my signature, which is a hot, hot mess. I’ve practised just one day (one line for each letter, upper and then lower, and then one time for each sentence) and I already have an indent forming on my middle finger. I hope this is going to be worth it…. Haha I can! Give me a few more days to see if it is improving or not. When I write a full sentence its rather pretty – just a few letters give me issues, like connecting the y to anything else. I feel like I had terrible handwriting and then all of a sudden I was a teen with darn cute handwriting. I use to write all the time! With the influx of using a computer more and more, my handwriting, while still cute, has sadly fallen by the wayside and now when I try to write, my hand cramps up something awful. Now I much prefer typing to writing.